The Niners had a heck of the run to end the season with new quarterback Jimmy Garoppolo, and with the future at the position looking bright for the new man under center, today it sounds like the team is going to try and get a new deal with him done sooner than later. Matt Maiocco of NBC Sports Bay Area reports that Niners GM John Lynch says the team is working on a multi-year contract extension for the QB, who took the team by storm in the final quarter of the season. Lynch spoke with the NFL Network on Wednesday from the Senior Bowl in Mobile, Alabama. He said the 49ers are working on getting Garoppolo signed to a new contract. 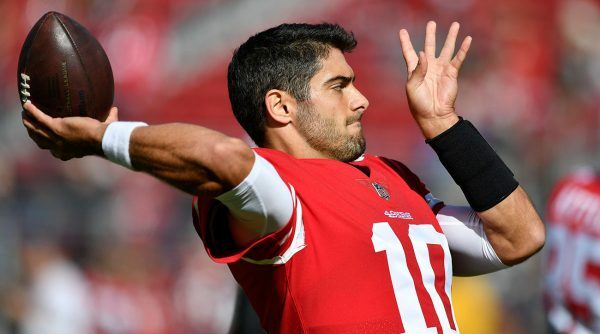 He is scheduled for unrestricted free agency, but if Garoppolo remains unsigned in early March, the 49ers will designated him as their franchise player. “He was a great addition to our team – kind of a game-changer,” Lynch said. “When you find the right guy at that position, it’s really good for your franchise. We believe we found the right guy. 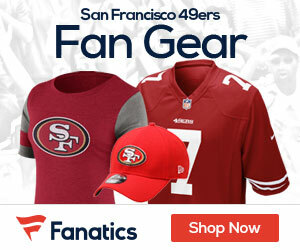 Be the first to comment on "Niners GM John Lynch Says Team Working on Extension for QB Jimmy Garoppolo"